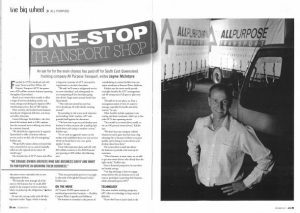 All Purpose Transport is and always has been a community-focused company. 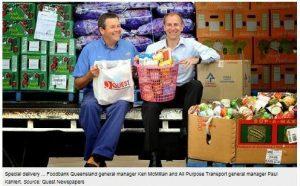 With an emphasis on customer satisfaction and over 40 years of operating in Brisbane, it’s no surprise APT is passionate about giving as much as possible to the community. 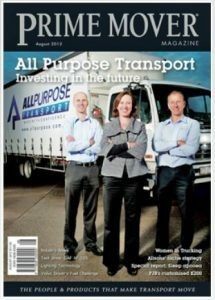 From involvement in community programs to making the push for gender equality in the transport workforce, family-owned All Purpose Transport demonstrates time and time again their love for helping the community of Brisbane. An important part of giving back to the community is supporting those less fortunate. 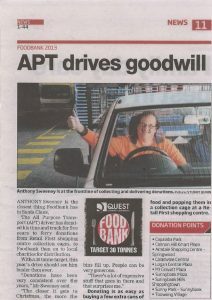 APT supports Foodbank Queensland each year by volunteering to collect and transport donations from shopping centre locations to Foodbank’s warehouse. 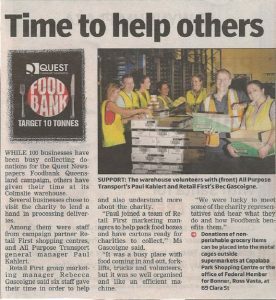 We began offering our help after hearing of the logistic difficulties Foodbank faces each year with collection and distribution of donations, which amounts to 8,000 tonnes of food every year. 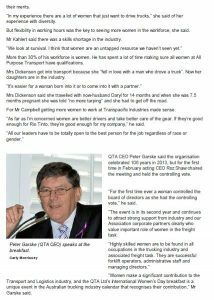 All Purpose Transport is passionate about getting more women working in transport. 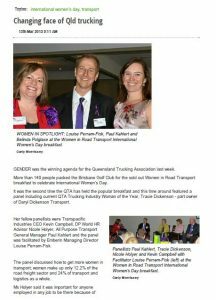 We honour International Women’s Day by running the event ‘Women in Road Transport’ to celebrate and recognise the significant contribution made every day by women working in the trucking industry. 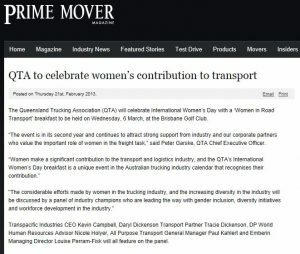 APT continues to work towards increasing the diversity in the industry via diversity initiatives and gender inclusion. 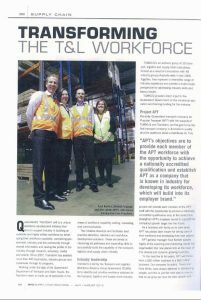 APT has committed to investing in our people and their futures through the offering of training to all our workers. 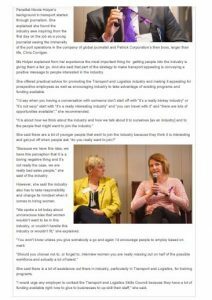 Our goal is to become the most qualified workforce in Australia. 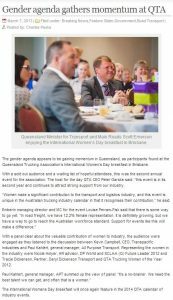 Each employee is offered the resources and training to be qualified above a Certificate III, which has become the APT standard across the board. We believe this is a crucial step to give our people the best skills to carry them through to a prosperous future. 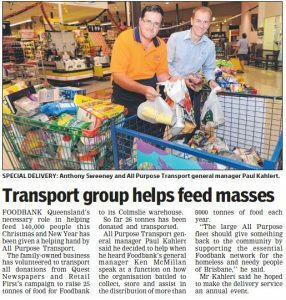 Helping the community in any way we can is something All Purpose Transport is proud to do. 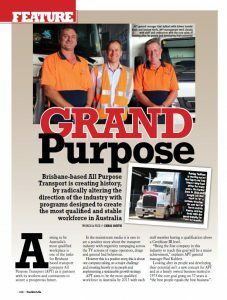 We strive to always do our part for Brisbane and support the causes close to our hearts.